This year’s FASHFEST is just as much about the makeup than it is about the fashion! And for an all time first, the three-day event will be batting its own set of bespoke FASHFEST Double Lashes. Created by FASHFEST makeup sponsor, Harlotte Cosmetics, the lashes have been designed with a dramatic curve to make the model’s eyes ‘pop’ on the catwalk and to add drama and elegance to the runway. The Australian makeup house is known for high pigmentation and high intensity products, and when it came to articulately crafting the FASHFEST Double Lashes every detail was accounted for – long wispy soft strands, double layered with a dramatic criss-cross effect and woven into the perfect curve and fan-like flick. They suit every eye shape and can be trimmed to cater for everyone. Best of all, they’re not just for the models. 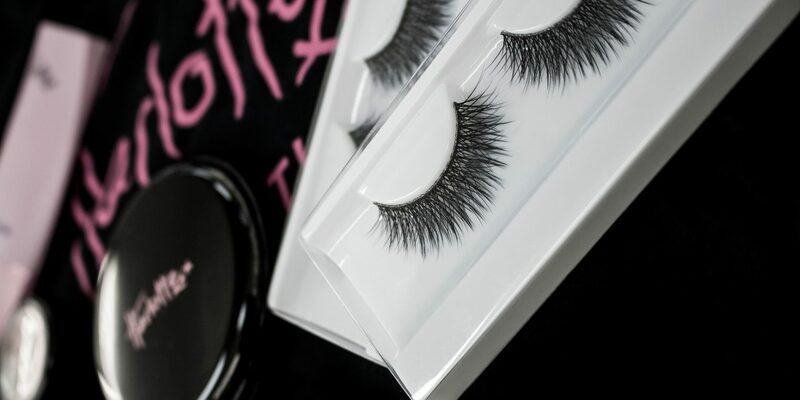 Guests can also purchase a set of lashes for $15 and even choose to have them professionally applied before the start of the show by an expert Harlotte Cosmetic artist. The lashes themselves will come in their own box with glue and are reusable up to 10 times. A self confessed lash addict myself, I can’t wait to give these a try! If you miss out on lashes at FASHFEST, never fear! You’ll be able to order all Harlotte products, as well as sets of lashes, online via their website. For beauty lovers attending FASHFEST, you’ll be please to know that Harlotte will also be showcasing some of its newest cosmetic collections on the runway, including its new line of liquid lipsticks and glosses. FASHFEST 2016 will be held from 29 September to 1 October at the National Convention Centre.